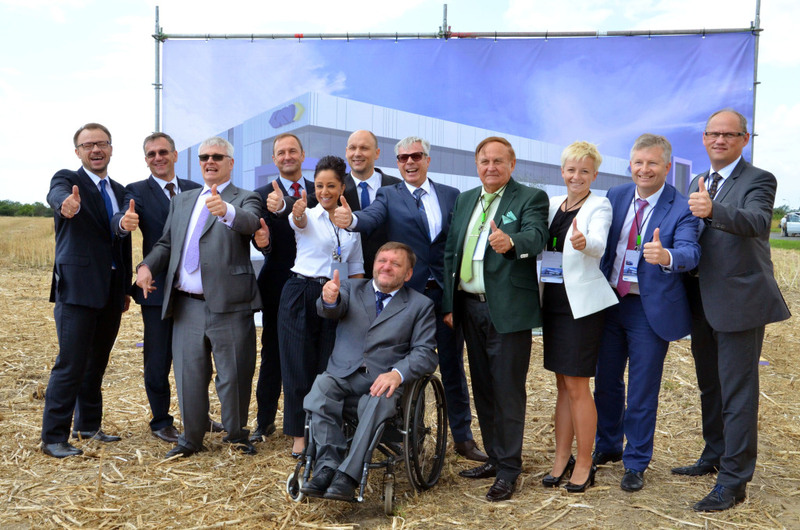 GKN Driveline builds a new facility in Oleśnica - WSSE "INVEST-PARK". Wałbrzyska Specjalna Strefa Ekonomiczna "INVEST-PARK". 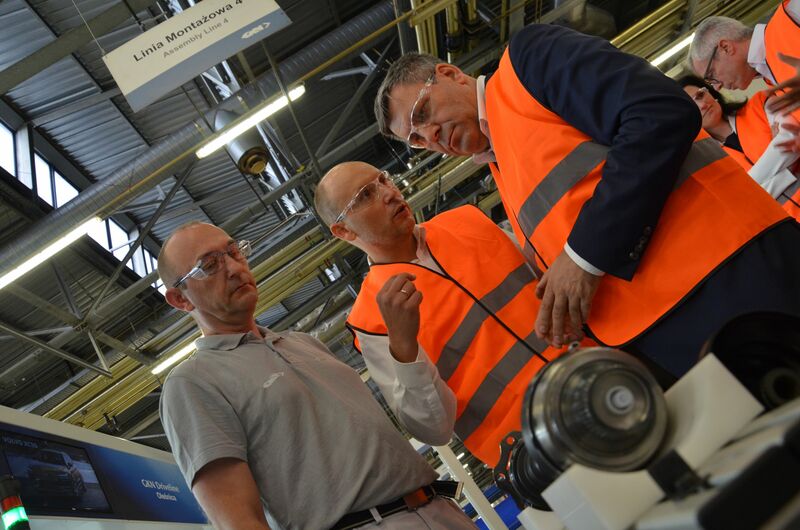 Even 400 people may find jobs at GKN Driveline’s new facility in Oleśnica. On Wednesday, 29 July, the cornerstone for the company’s most recent investment project was laid. Deputy Prime Minister Janusz Piechociński and Deputy Minister of Economy Ilona Antoniszyn-Klik visited the company one day before the ceremony. British company GKN Driveline is a global leader in the production of driveline components. It supplies the largest automotive corporations, including Volkswagen, Toyota, Porsche, Volvo, and Audi. “Poland is the European leader in the production of car parts and subassemblies. A record number of new cars will be assembled here this year. Next year, Volkswagen’s factory in Września will begin the production of VW Crafter, whose elements will be supplied by GKN Driveline. Whenever I talk to potential investors, I always hold such firms up as examples. I highlight the fact that almost all the subassemblies are manufactured within a radius of 150 kilometers. It is a powerful argument in negotiations,” says Janusz Piechociński, Deputy Prime Minister and Minister of Economy. GKN has 56 facilities in 22 countries and employs 22,000 people. It has functioned in Poland since 1996. Due to an increasing number of orders, the company’s facility has increased its surface and output fourfold. “We have had very a positive experience of Poland that confirms the competitive advantage of your country. We have built a young and highly motivated team that has been hugely successful. They have transformed the facility from a local supplier into a truly modern European factory, which today is in the center of GKN’s global strategy,” emphasises Helmuth Rohregger, President of GKN Driveline Europe. The company has operated within the Wałbrzych Special Economic Zone “INVEST-PARK” since 2012. Last year, it received the second permit to carry out an investment project in the zone. “In 2012, the company declared to incur capital expenditure of about 100 million zlotys and create 100 jobs. As of the end of March, GKN had taken on over 200 new workers, and a total of 900 people are currently working at the facility. It is not the end. As specified in the second permit, the factory is about to undergo further extension, and more people will find jobs,” says Barbara Kaśnikowska, President of the WSEZ “INVEST-PARK”. GKN Driveline’s facility in Oleśnica delivers an extensive range of driveline solutions for passenger cars and light commercial vehicles. More than six million axle shafts and 300,000 drive shafts are produced here each year. The new factory will increase the output and make it possible to offer new subassemblies. “The facility will be located around two kilometers from the existing one. It will have a floor area of 15,000 m2. Ultimately, around one million drive shafts will be made here, alongside innovative drive element units,” explains Grzegorz Wiśniewski, Managing Director of the facility. GKN Driveline is planning to hire another 400 people in the next four years, including 20 engineers. The company has long cooperated with Polish universities – Wrocław University of Technology and the WSB School of Banking. It supports employees’ development by co-financing their studies at university. GKN is also actively involved in the “INVEST in EDU” educational cluster, which has recently been established by the Wałbrzych zone. As a result, a class sponsored by the company will be created in the Secondary Schools Complex in Oleśnica in September. Sixteen students will learn to become cutting tool operators. The students are guaranteed to undergo paid internship in the summer and apprenticeship at the company’s facility. Talks are being held concerning the creation of a company-sponsored mechatronics class from 2017. “Investing in employees always pays off. Constant professional development leads to stable and well-paid jobs. Salaries in industry are good. At the moment, the lowest gross salary paid by GKN is about 2,700 zlotys,” says Deputy Minister of Economy Ilona Antoniszyn-Klik. 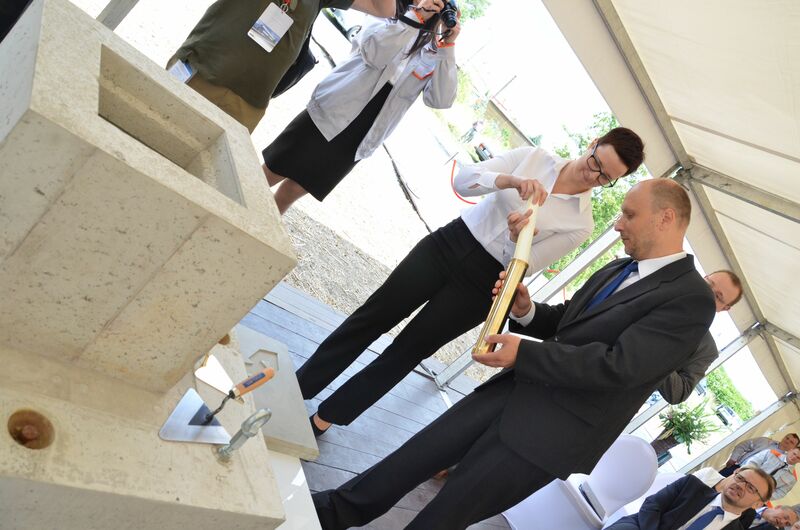 The cornerstone for the new investment was laid on 29 July. The construction of the new facility in Oleśnica is scheduled for completion in April, 2016.